Olden Rings is a set of 4 fonts to make custom 2-letter monograms in a unique interlocking ring design with the style of antique metalwork and calligraphy, perfect for weddings. 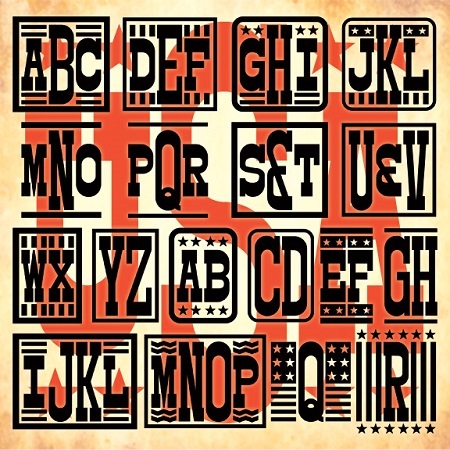 Unique fonts that allow you to create custom 1-, 2-, 3- or 4-letter monograms in a distinctive script style with a choice of decorative frames. 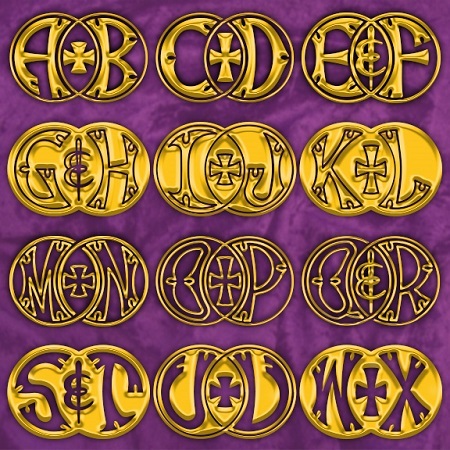 One font for standard Latin alphabet, another for Greek. 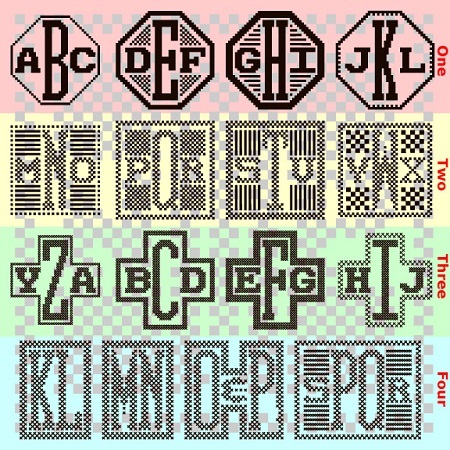 Set of 4 fonts to create monograms of 2, 3, 4 or more letters that look like hand-embroidered samplers, with a choice of styles and extras. 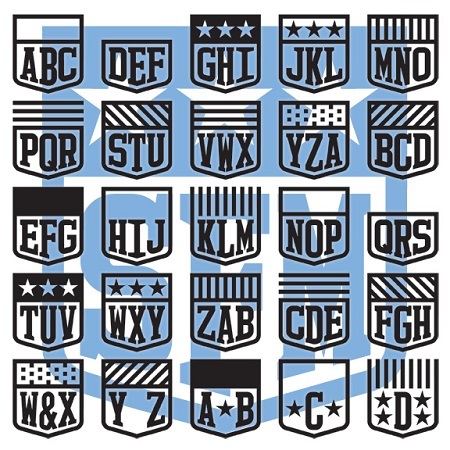 A unique font to create custom monograms in a professional sports style with your choice of decorative shields. 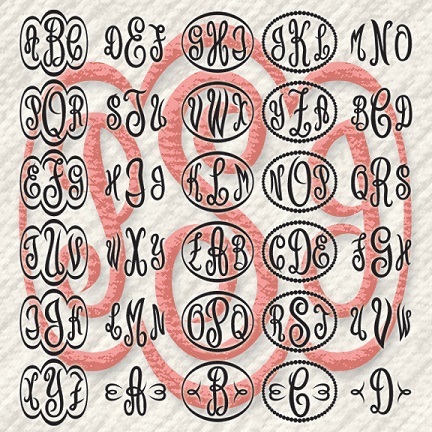 This unique font allow you to create 1- and 3-letter monograms in a graceful curvy style with a choice of decorative accents. The letters are designed to touch each other and/or the frames for applications where this is desirable. Three fonts that let you create custom 2- or 3-letter monograms in a graceful cursive style inspired by vertical French scripts. Choose Ribbon, Stripe or Pearl style with a choice of decorative borders and frames in each. Empress Monograms is a unique font that lets you create custom 1- and 3-letter monograms in a distinctive script style inspired by classic embroidery. OK Monograms is a unique font that lets you create custom 2-letter monograms in an informal, retro-future style. 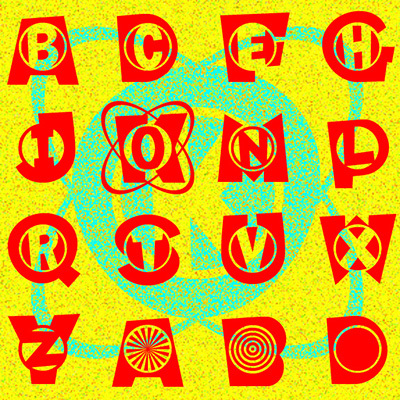 It was inspired by the logo from my Lionel-Porter chemistry set I had as a kid in the 60s, when our vision of the future was shiny and hopeful, like the Jetsons. Options within the font include a choice of black or white center letters and even orbital rings.